Emma Mhic Mhathúna's beloved aunt, Elaine Moran, paid a moving tribute to the tightknit Kerry Gaeltacht area that took her niece to their hearts. "I just want to thank everyone from the bottom of my heart for all they have done for Emma and our family," she said. "The support and solidarity that has been shown to us is truly beyond words. "Emma loved this special place and we are truly humbled by the kindness and support that has been shown to our family over the past two very difficult days. "We can all understand now why Emma thought this place was so special. She loved it here in west Kerry." Ms Mhic Mhathúna and Ms Moran were so close they were almost like sisters - each revelling in each other's experiences and achievements. Ms Mhic Mhathúna and her five children had only lived in Baile na nGall for around 18 months, but the community has rallied to an incredible extent. 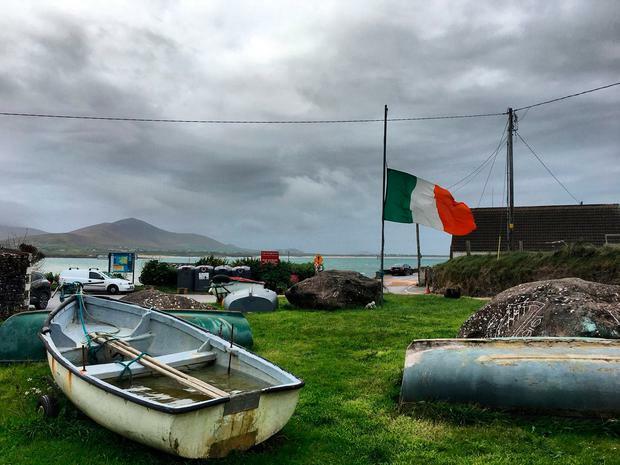 "We realised that the Tricolour had been lowered to half mast in the village as a mark of respect for Emma. "That means so much to us - it is an honour beyond words. "We have been overwhelmed by the kindness of people - from the offers of help at Emma's home through to the incredible kindness shown to our family here in the village itself," said Ms Moran. Volunteers have also offered to help with preparing Baile na nGall church for today's Requiem Mass and even with car parking duties on the day. "Emma was so full of life - she lived her life to the full. She absolutely adored her time here in Baile na nGall and it is easy to see why. "Emma was so very proud of her children and she wanted nothing but the best for them," she added. "On behalf of our family, I just wanted to say a heartfelt 'thank you' to everyone locally who has been so kind and supportive to us over the past two very difficult days. "I know there are also very difficult days ahead facing us all as a family. "But the kindness of the people here means so much to us at this difficult time. We have heard so many kind things said about Emma and it has meant the world to us all." 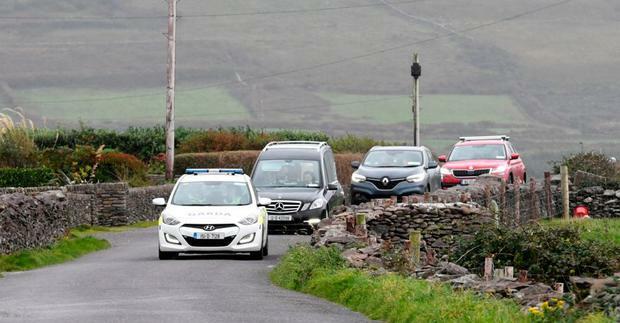 Ms Moran and her extended family are now focused on supporting her five children, Natasha, Seamus, Mario, Oisín and Donnacha through the funeral. The family are particularly touched by the thousands of tributes to her as a fearless campaigner for social justice. Her uncle, John Moran, said that the Requiem Mass being held in Dublin tomorrow was a special recognition of her connection to the ProCathedral. As a child, Ms Mhic Mhathúna studied nearby and often visited the ProCathedral to say prayers and light candles for loved ones.